Tales of the Elsmo Four: Fire! 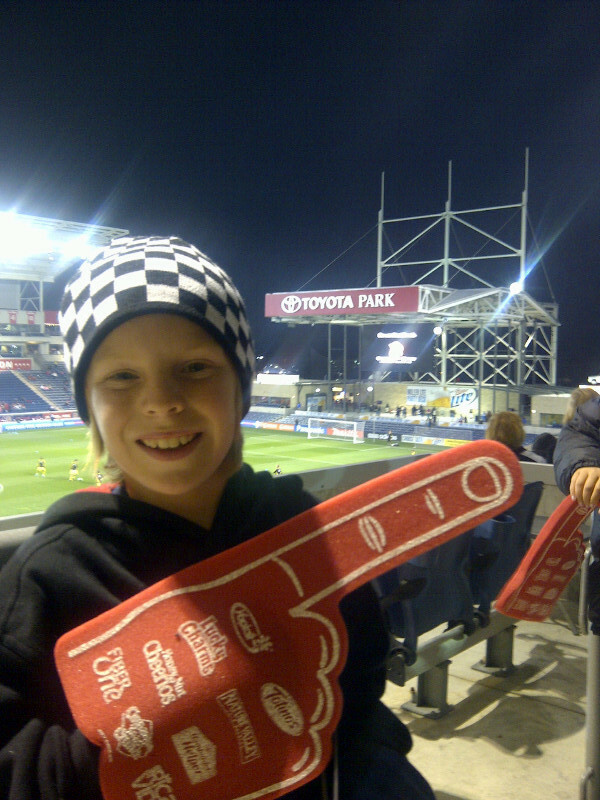 Last night Leif and Finn hit Toyota Park with a bunch of the Rapids to cheer on the Chicago Fire. I guess it worked because the Fire beat the Columbus Crew 3-2. It sounds to me like they had a fantastic boys night out!